Toronto-based Virus (& Scoots [Vol. 2 & 3]) began this superb series of J-Core mixes in 2004. Virus & Scoots – Konnichiwa – Vol. 3 – Part I | 18.06.07. Virus & Scotts – Konnichiwa – Vol. 3 – Part II | 18.06.07. Virus – Konnichiwa – Vol. 4 | 23.04.11. 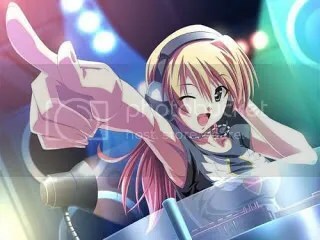 This entry was posted in DJ Mixes, J-Core and tagged Konnichiwa, Konnichiwa Vol. 1, Konnichiwa Vol. 2, Konnichiwa Vol. 3, Scoots, Virus, Virus & Scoots. Bookmark the permalink. Free Track | Hypasonic – Whatever You Say (Pex L Remix) | 22.03.11. Ha ha! Glad you’re enjoying man.